Along with the World Cup, Super Bowl and Olympics, golf’s Ryder Cup is one of the greatest team events in all of sport. It has seen many epic battles, such as 1991’s War on the Shore and the 2012 Miracle of Medinah, that are etched in our memories. 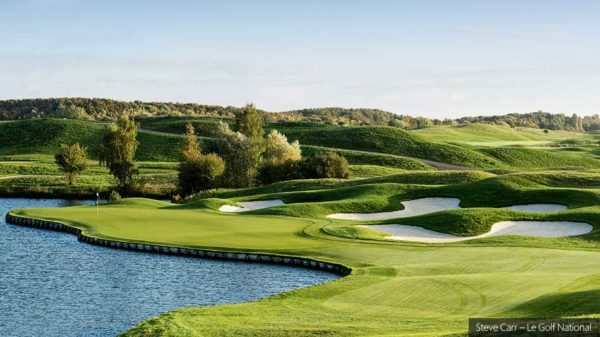 Whether you are rooting for the US or Europe, or simply want to admire the world’s best golfers competing in a rare team format, the 2018 event at Le Golf National in Paris, France, will be one of the most eagerly-anticipated sports events of the year. But in addition to the competition itself, the Ryder Cup also provides a wonderful opportunity for those of us in the golf industry to transfer skills and knowledge with counterparts from around the world. Representatives from all aspects of the golf industry, from golf design to maintenance and operations, and from all over the globe, will be converging in one place, where one of the world’s great golf courses will be showcased at its very best. In my travels to golf courses around the world for bunker renovations projects, I feel fortunate to have met so many different people, each of whom has fascinating experience and a huge passion for the sport. Take Andy Johnston for example, the general manager and director of agronomy of Sentosa Golf Club in Singapore, the host course for the SMBC Singapore Open, co-sanctioned by the Asian Tour and European Tour and won in January this year by Ryder Cup star Sergio Garcia. Andy joined Sentosa having originally worked for the club while with Gene Bates Golf Design. With a multi-disciplinary background covering agronomy, architecture and management, he has a wealth of expertise. For me, as a native of Northern Europe, learning from Andy’s experiences of the Asian market has been invaluable. I am always grateful for the opportunity to learn from experts at the golf clubs we visit. I started my working life as a greenkeeper, and at that time would have given anything to find a way to tap into the knowledge of people like Andy, all over the world. Reflecting on my career journey and experiences like these led me to want to find a way to enable more people to benefit from the expertise of others throughout the golf industry. And that has now culminated in the development of the 2018 Ryder Cup Greenkeeper Experience Program. Working with FEGGA, the umbrella body for greenkeeping associations in Europe, and the Golf Course Superintendents Association of America, the initiative will see 20 selected greenkeepers spending the Ryder Cup week experiencing how a world-class golf course is set up for one of the sport’s biggest events. We had over 750 applicants and the 20 greenkeepers selected are representing the USA, Canada and ten European countries including the Czech Republic and Estonia. They will join Alejandro Reyes, the golf course manager at Le Golf National, and his team in the run-up to the tournament. It’s a unique opportunity to work alongside peers from different regions, then take what they have learnt back to their home clubs. Already the impact has been very positive. I recently received a letter from the superintendent at a club where one of the assistants had been selected. He told me how delighted he was for his team member, and what an impact it will have on the whole club. I look forward to reporting back on the initiative and planning more in future. Martin Sternberg, CGCS, is the founder and inventor of Capillary Concrete, a Class A PGA professional and was Europe’s first GCSAA Certified Golf Course Superintendent.